Any plans to keep working on this? "Thought people might like to know, I'm moving house and my new place doesn't have internet yet. So I'll be offline for about a week. See you all soon!" looking up for some older posts is a way too hard heh? He'll be out of internet for a week, so? How is that related to the rom? 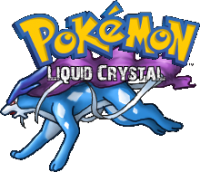 In all fairness, as long as LaZ may be taking to finish this, LaZ will still have finished my ideal Pokemon game before game freak ever do.